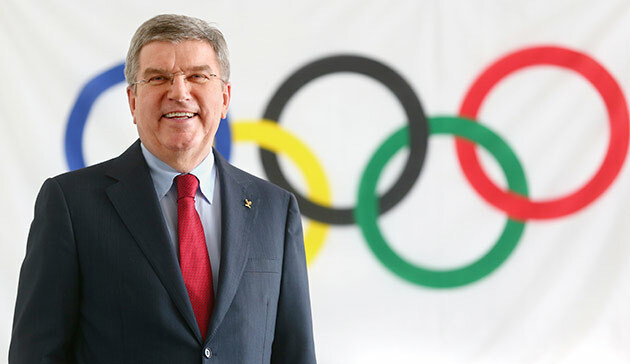 It was almost impossible to read, or write an Olympic bid story this year without a reference to Agenda 2020 – International Olympic Committee (IOC) President Thomas Bach’s solution to bring the Olympic movement into the twenty-first century and increasing its mainstream appeal. As set of reforms unanimously approved by the IOC membership last December were put into execution during 2015, including an overhaul of the Olympic bid process and many other changes designed to boost the image of the Games that could potentially increase interest in hosting them. Almost every IOC press release and every broad message conveyed by the organization was made to underline the efforts made to further embrace Agenda 2020 goals, or to bolster them. Brand messaging from bids showed compliance with Agenda 2020 ideals, often one city trying to out-comply the others. It seemed, in many cases, that almost any proposal could be spun to look Agenda 2020 compliant. The bid process was changed markedly: documents were entirely rewritten, an “invitation stage” was launched to vet prospective bids, and overarching strategies were put into place to reduce bidding and hosting costs including the possibility of hosting events on a broader footprint even if it lies outside national borders. Last year Bach’s message about the Olympic movement was “Change or be changed.” So did Agenda 2020 accomplish the change? Or was Bach’s prophetic message too late? In a New Year’s message released by Bach Wednesday, he outlined many of the changes that had been implemented, but he stopped short of lauding any results, instead mentioning that more work needs to be done in 2016 in order to continue focus on the road ahead. It’s only been a year, and change takes time – but early results have not been promising. Almaty’s 2022 Olympic Winter Games bid was oozing the spirit of Agenda 2020 yet the IOC membership instead elected Beijing the winner even though the major venue construction and very questionable legacies were contrary to the IOC’s stated direction. Action speaks louder than words and its clear the membership is still not fully behind Agenda 2020. The Almaty bid committee along with the IOC Evaluation Commission worked hard to mold the bid to fit the Olympics vision, changing venue plans on the fly to cut over half a billion dollars from the proposal – but members were swift to reject it all. In another move to underline the value of the cost-cutting reforms, the IOC suggested that already elected 2018 Winter Games host PyeongChang hold sliding events at a venue already constructed in Japan instead of bearing the cost of building it in Korea. The idea was, of course, summarily rejected by a nation that understandably worked hard to earn the Olympic glory for themselves. The idea was interesting in theory, but not realistic. On to the 2024 bids, despite the Agenda 2020 reforms that were in part designed to help attract new potential hosts, only five applicants came forward to bid, the smallest initial field since the 1980’s. Since then, Hamburg has been felled by a referendum reducing the field further to four. Prior to that potential bids from Boston and Toronto were abandoned due to fear surrounding costs and risk – something Agenda 2020 was expected to resolve. Now, even in Budapest referendum fears remain. One change, the elimination of bid city shortlisting, is now laughably redundant as bidders have stayed away in droves. Previously, ten cities bid to host the 2008 Olympic, nine for 2012 and, seven for 2016. Agenda 2020 has successfully led to the implementation of new rules and processes – lots of paper – the tools for change. But has Agenda 2020 led to any real change? There isn’t much evidence to this as the downward spiral continues. Change comes when leaders demonstrate it, and when there is a real call for action. The Agenda 2020 message at this point is only rhetoric, or as No Boston Olympics leadership suggested, “window dressing.” While it is a brand that is understood within the sport industry, it is not yet a message known by the masses – those who now gaining greater of control over bids through referendums. 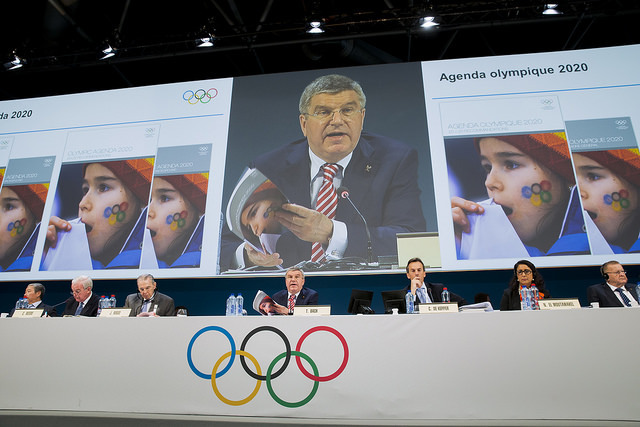 For Agenda 2020 to succeed, Bach and the Olympic movement must demonstrate it. Rather than staying neutral, Bach could have backed Almaty 2022 and urged his members to support the bid just like they unanimously supported Agenda 2020 itself months earlier. He did not, and for 2015 Agenda 2020 gets a failing grade in its attempt to save the Olympic bid process. For 2016 Bach should work harder demonstrating that the IOC has indeed changed, or, as he prophesized, the Olympics will continue to change into a damaged brand. Thanks for reading our top stories of the year – we promise much more for 2016! Watch GamesBids.com or follow us on Twitter or Facebook and read the other top stories for the year listed below.